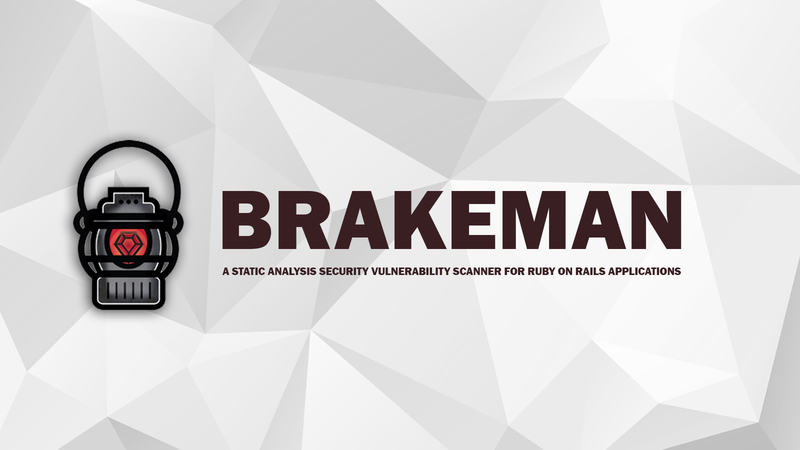 Brakeman is an open source security scanner for Ruby on Rails applications. Unlike many security scanners, Brakeman analyses the source code of the application and produces a report of all the security issues. It requires zero setup or configuration once it is installed. Note: It works with any version of Rails from 2.3.x to 5.x. Brakeman can analyse code written with Ruby 1.8 syntax and newer, but requires at least Ruby 1.9.3 to run. As you know that all Brakeman needs is source code, so it can be run at any stage of development: you can generate a new application with "rails new" and immediately check it with Brakeman. Since it does not rely on spidering sites to determine all their pages, it can provide more complete coverage of an application. This includes pages which may not be 'live' yet. In theory, Brakeman can find security vulnerabilities before they become exploitable. Brakeman may not be exceptionally speedy, but it is definitely much faster than "black box" website scanners. Even large applications should not take more than a few minutes to scan. False Positives: Only the developers of an application can understand if certain values are dangerous or not. By default, Brakeman is extremely suspicious. This can lead to many "false positives". Unusual Configurations: Brakeman assumes a "typical" Rails setup. There may be parts of an application which are missed because they do not fall within the normal Rails application layout. Only Knows Code: Dynamic vulnerability scanners which run against a live website are able to test the entire application stack, including the webserver and database. Naturally, Brakeman will not be able to report if a webserver or other software has security issues. Isn't Omniscient: Brakeman cannot understand everything which is happening in the code. Sometimes it just makes reasonable assumptions. It may miss things. It may misinterpret things. But it tries its best. Note: All Brakeman output except reports are sent to stderr, making it simple to redirect stdout to a file and just get the report. Options passed in on the command-line have priority over configuration files.